You are here: Open the Door > What do we do? Early Years Programme: interactive, multisensory, musical adventures helping to promote learning, develop life skills, confidence & creativity in babies, toddlers & young children. Community Groups Programme: using music, singing & movement to provide multisensory sessions, helping to engage community groups in physical & social activity, encouraging participation, communication & connection. 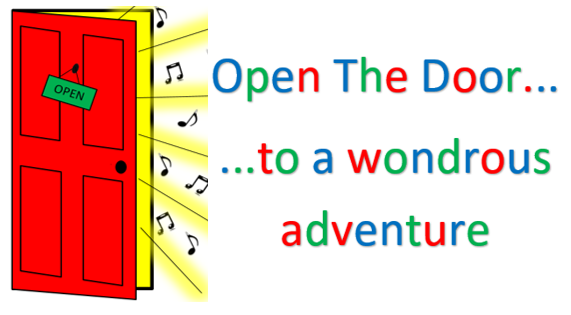 All our Open The Door sessions are carefully designed to stimulate many areas of the brain, making them a ‘unique adventure’ and ‘a delight to the senses’. They’re interactive, multisensory & musical adventures for all ages.